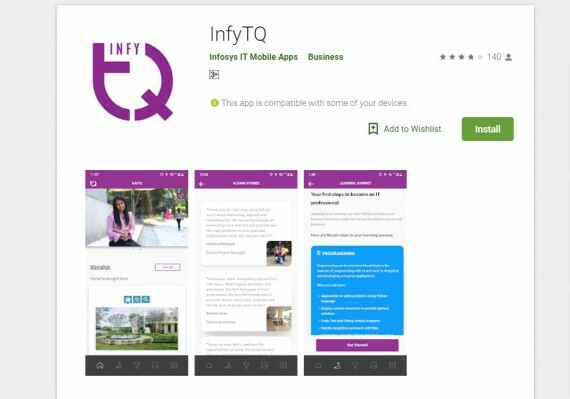 The country’s second-largest IT services firm Infosys on Saturday announced the launch of ‘InfyTQ’, a digital platform to offer learning and engagement experiences to engineering students in the country. InfyTQ is a free platform open to all engineering students in their third and fourth years across India, Infosys said in a statement. The platform encourages holistic development by imparting technical as well as professional skills, helping them become industry-ready, it added. InfyTQ, available on both mobile and desktop, includes content, courses, and news as well as online assessments and certification. “With InfyTQ, students will benefit from the always-on, anytime, anywhere learning, catered through a continuous transfer of digital skills and expertise from the Infosys innovation ecosystem. The platform will also assist students to stay connected with the organisation, keep up with the latest happenings, and familiarise themselves with Infosys’ culture and value system,” it said. The learning courses will be centered around conceptual and practical aspects of technology. This includes extensive hands-on learning to aid application of concepts in the real world. The platform will evolve and offer advanced learning materials and enable virtual programming environments for certain sets of students to further hone their technical skills, the statement said.